My big girl. 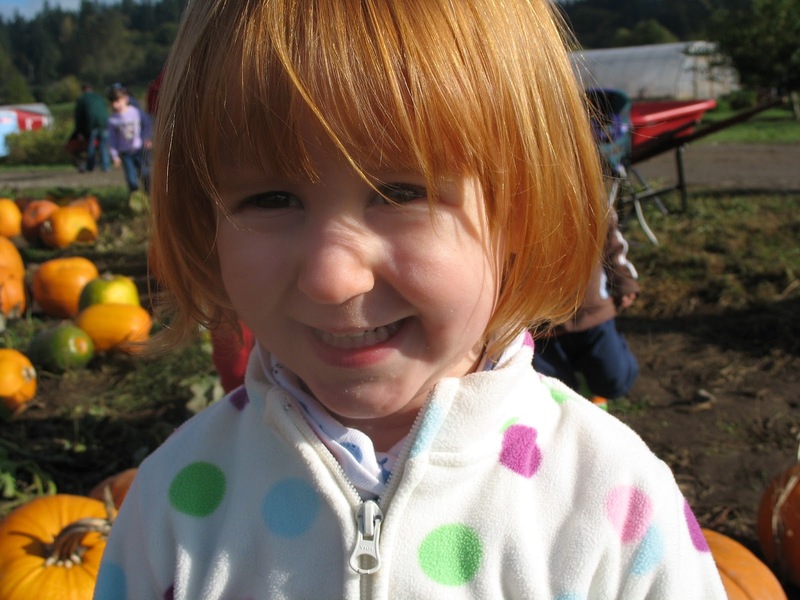 My fiery red-headed baby, is nine today. About five weeks old here. This has been a big year for Iris. She went to public school for the first time. It was a big leap of faith, for all of us, to put a kiddo like Iris in to that situation. There were bumps along the way, but also some triumphs. At her birthday party on Saturday several girls from her class came and celebrated with her. It made my heart swell to see Iris so happy with these girls. It's not always easy for her to make friends, so I was extremely grateful that everyone could come and the party was such a huge success. This year Iris has gone deeper in to her arts and crafts, especially enjoying working with polymer clay. The stuff she makes blows me away, and she is completely self-taught from youtube videos. She has also been making and editing videos, and we got her a camera for her birthday this year so she can take more pictures and make more videos. This was also the first year that Iris got no toys for her birthday. That is certainly a sign of a kiddo who is growing up. She got a lot of books. One of them is "The Care and Keeping of You". It has already opened up lots of questions about how girls' bodies change as they move towards puberty. Yikes. I don't even want to think about that! Iris has started taking tennis lessons, which she loves. It's kind of tricky to find a sport she can do reasonably well at and is also interested in, but I think tennis might fit the bill for now. One of Iris's favorite subjects at school is Chinese. She has loved learning the language and even participated in a Chinese competition this past Spring, singing a song with her classmates. I miss doing homeschooling with Iris, but a traditional school setting is clearly the right place for her. At least for right now. Always keeping our options open! Next year she will be a fourth grader. Then it's just a hop, skip and a jump up to middle school. On her last day of school, almost 9 years old. This coming year is going to be full of more change, I'm excited to see where we are next year at this time . . . but in no rush to get there. Time is definitely speeding up and I am NOT okay with that! Even when the days are stressful and tiring, I am trying so hard to make time for some connection with Iris. Getting bigger often means pulling away more. I want her to be able to talk to me, to trust me, to always feel protected and loved by me. I don't want her to ever question, for a second, how much I love her and care about her. Iris is a tough kid to parent, and I remind myself every day that the main message I want her to hear is that she is loved, no matter what. I don't want it to be about behavior and discipline and feeling defeated and frustrated, because sometimes it seems like we focus far too much on those thing and there is FAR more to who she is, and what our relationship is about. So, to Iris, I promise to you that this year, as you navigate being nine, I will never, ever let you forget how much I love you.